My husband and I went to New Orleans for our honeymoon and I think we spent 80% of our time at Cafe de Monde eating beignets. Seriously, they were amazing! 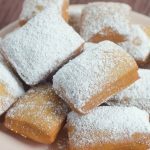 This easy beignets recipe isn’t an exact copy cat for Cafe du Monde, I don’t think anyone could create their perfection. 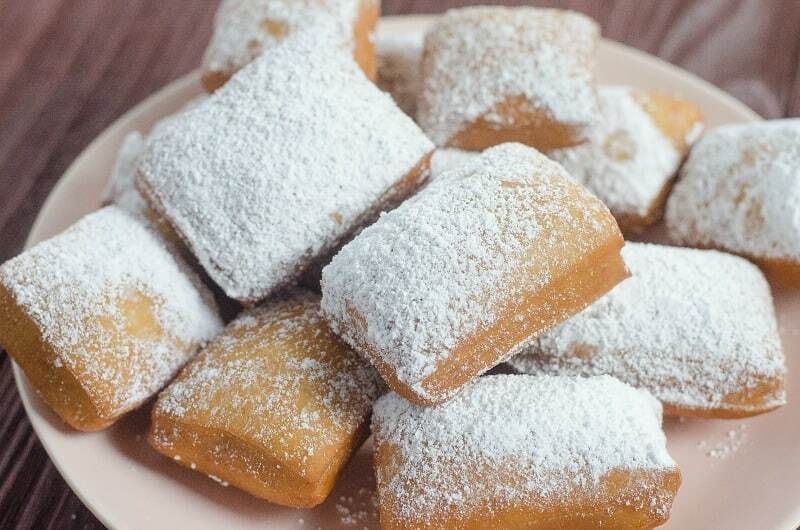 However, I do find that this recipe really hits the spot when I have a beignet craving. You might be surprised to learn that making beignets at home really isn’t all that hard. In fact, it’s fairly easy and so worth it for the end result! You can find even more tasty recipe here. To get started you’ll want to have the following items on hand. Can you make beignets ahead of time? Yes, you can make the dough in advance. You can keep the dough in the fridge for up to 4 days. You will want to ensure you give the dough plenty of time to come to room temp before frying up the beignets. How to keep beignets fresh? 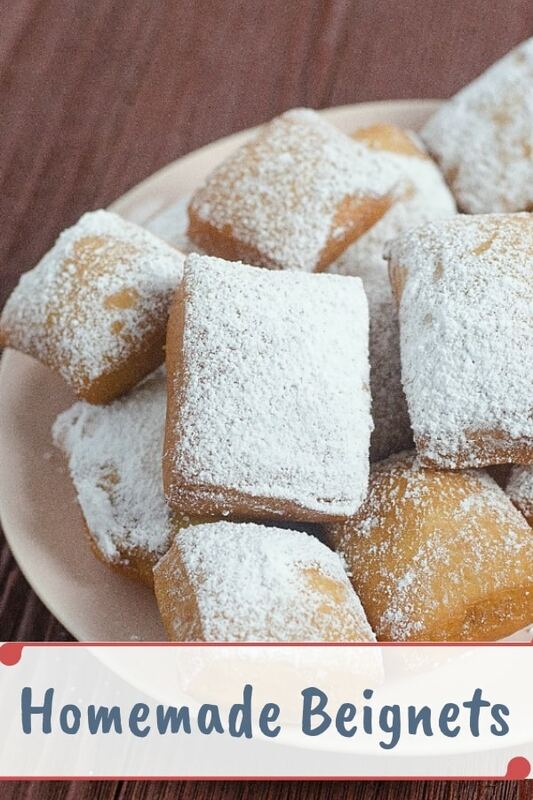 This is a tricky one since beignets really are best when served fresh. In fact, I really wouldn’t suggest eating them the next day, they just won’t taste the same. The best way to keep your beignets fresh is to keep them in a warm oven, don’t set the temperature higher than 200 degrees. You can keep your freshly cooked beignets in the oven for about 30 minutes. You can place them in the microwave but I wouldn’t recommend doing this. You’ll find that the beignets get very dried out if they aren’t consumed fresh. Add 1 3/4 cups flour, and mix until the dough comes together. Turn the dough onto a lightly floured surface. Knead in the remaining 1/4 cup flour by hand until the dough is smooth, about 5 minutes. Place the dough in a lightly olive oiled bowl, cover loosely with plastic wrap, and let stand in a warm, draft-free spot until doubled in size, about one hour. Remove the dough from the bowl. Roll out the dough on a lightly floured surface to 1/2-inch thickness. Cut out with a pizza cutter rectangles. Place on parchment lined baking sheet. Let rise in a warm, draft-free spot for 30 minutes. Heat the oil in a medium pot or deep fryer until it registers 350ºF on a deep-fry thermometer between a 2 and a 3 on the dial. Fry the beignets in batches, rolling them around constantly with a slotted spoon, until golden brown all over, 1 to 2 minutes. Transfer the beignets with the slotted spoon to a cooling rack that's set over a baking pan and dust with powdered sugar.